/Design Tools - Photos and Images /Can I change the dimensions of my photo? 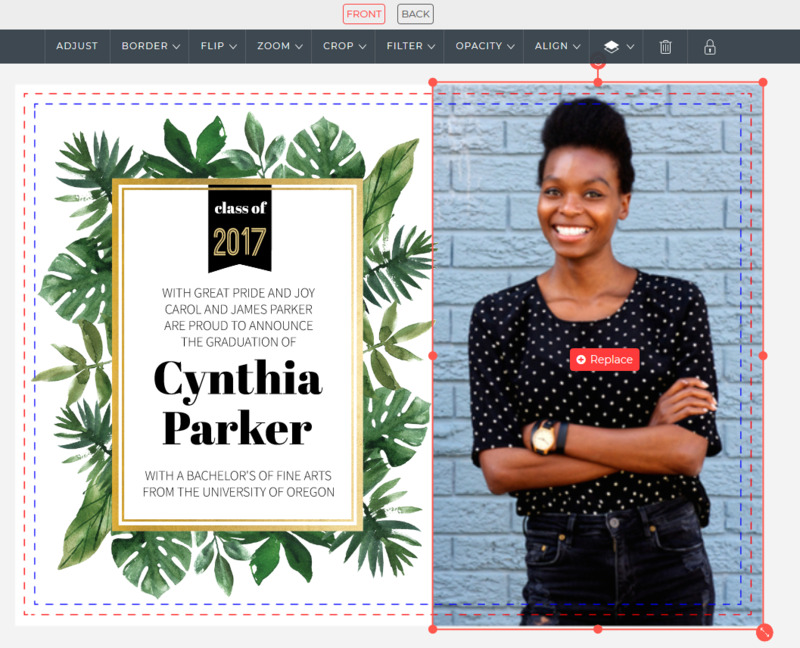 Add image from your image library into your design, or click on the photo in your design you’d like to make bigger. A red border will appear around the photo. Drag one of the four corners outward to increase the photo size. We’d also like to point out that with digital images, stretching usually deteriorates the print quality if the image isn’t big enough to handle it. Resolution and DPI are your two big factors here: the bigger, the better. Click on the photo you want to modify. A red border will appear around the photo. 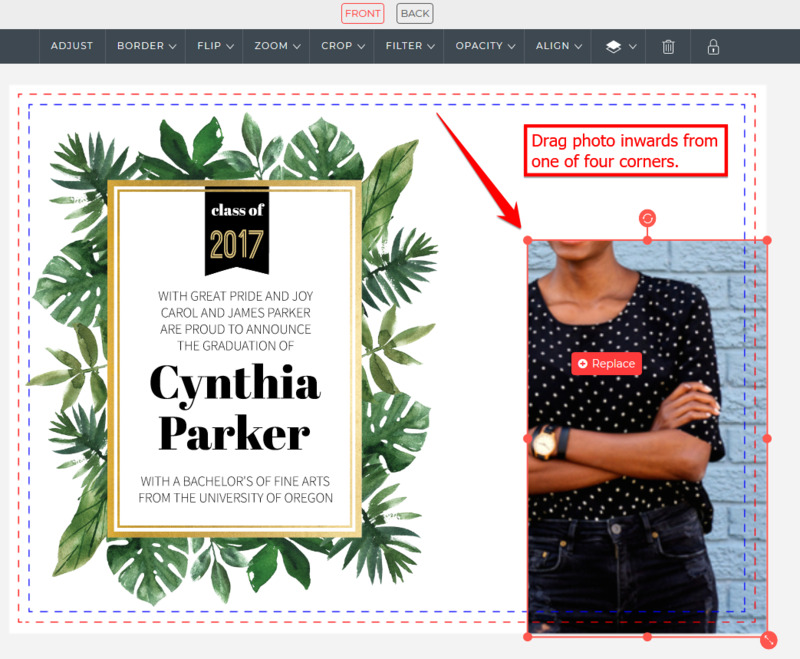 Drag one of the four corners inward to resize the image area. 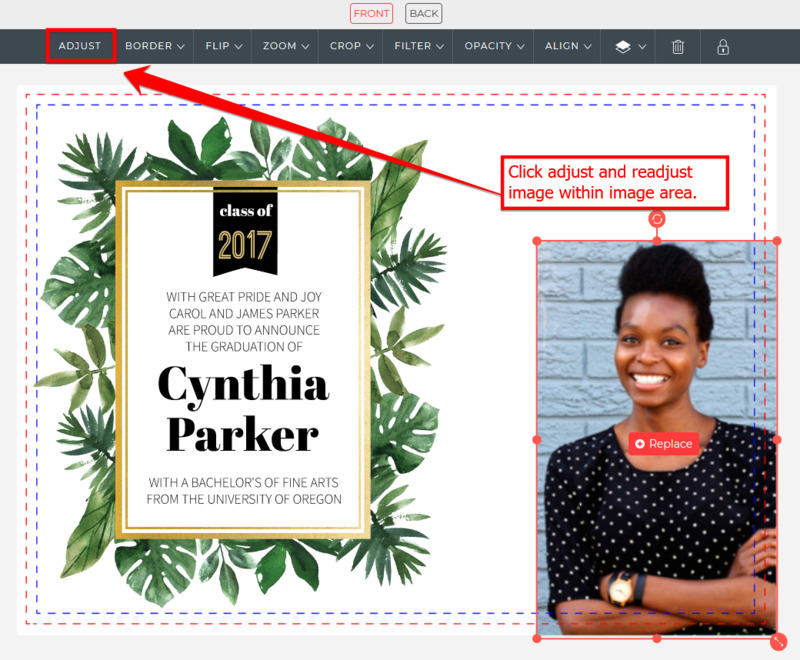 Click on the “Adjust” button in the horizontal toolbar at the top of the page, and adjust image within space as necessary. When it looks right, click “Apply” at the top of the page.